Flowing water and ice in the current frigid winter season have formed a huge icicle waterfall in Mount Tai, China's most sacred mountain in Shandong Province, attracting visitors to appreciate the natural wonder. 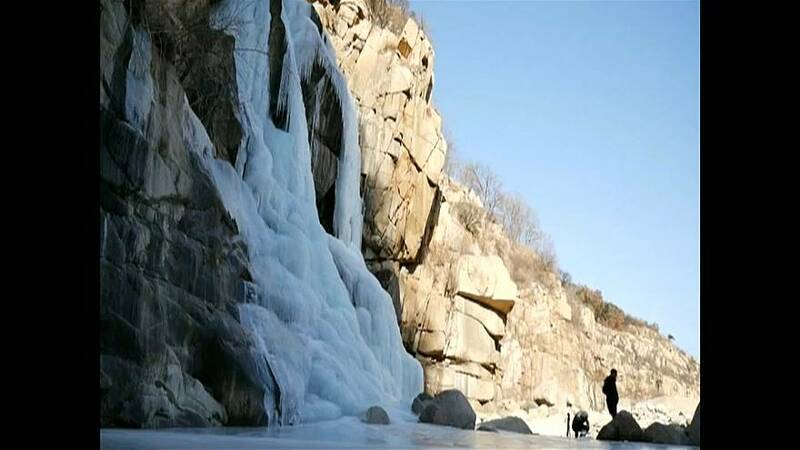 As the temperature lowered to below zero degree Celsius, the drops of flowing waterfall froze, creating a spectacular icicle waterfall over the 80-meter cliffs in the Tianjingwan scenic spot in Mount Tai. Some visitors have made the special trip to enjoy the amazing crystal wonderland.